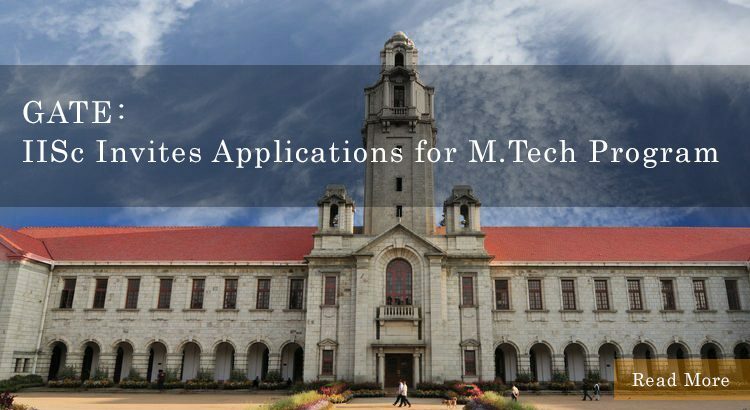 The Indian Institute of Science (IISc), Bangalore has released a notification for admission, inviting eligible candidates for its two-year Master of Technology (M.Tech) program for the academic session 2017. The interested candidates should have obtained a Bachelor’s degree in Physics/ Chemistry/ Mathematics/ Statistics/ Computer Science/ Electronics from a university or institute of repute. For the selection procedure, a candidate’s GATE score in GATE 2015 and GATE 2016 will be considered. The interested and eligible candidates can apply through the official website of IISc. The last date for submission of online application is 24 March, 2017. The duration of M.Tech program will be from April 2017 to April 2019. According to the QS World University Rankings 2016 for the BRICS nations i.e. Brazil, China, India, Russia and South Africa, IISc ranks sixth on the basis of good academic and overall performance.